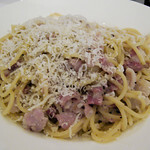 Everybody has, at least once in his or her life, eaten or cooked the Spaghetti alla Carbonara. But do you know which the authentic Italian recipe really is? I will tell you in this article and will guide you through the steps of the recipe for a delicious Spaghetti alla Carbonara the Italian way! Fill a large saucepan with water (up to approximately 2/3 of its volume), cover and let it boil. When it comes to a boil, add some salt, but not too much because the dish will be very tasty anyway. 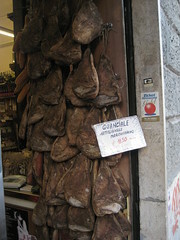 In the meantime, cut the guanciale in small cubes or small stripes and put it in a pan over medium heat without adding any cooking oil, as the guanciale will release its own fat. Leave it on the hob till the fat part of the guanciale becomes transparent and slightly crunchy; then remove it from the fire. Whip up the eggs in a bowl and then add the Pecorino cheese and the ground pepper. Mix everything together and then add the guanciale to these ingredients. Put the pasta into the boiling water and when it is ‘al dente‘, drain the water and put the pasta in the bowl with the eggs, cheese and the cheek bacon. “Al dente” means that the pasta should be moderately cooked. It should be firm but not too hard nor too soft, in order to have a certain consistence when chewed. Serve immediately, and if you like you can add more Pecorino and pepper. I have described above the original recipe for Spaghetti alla Carbonara. 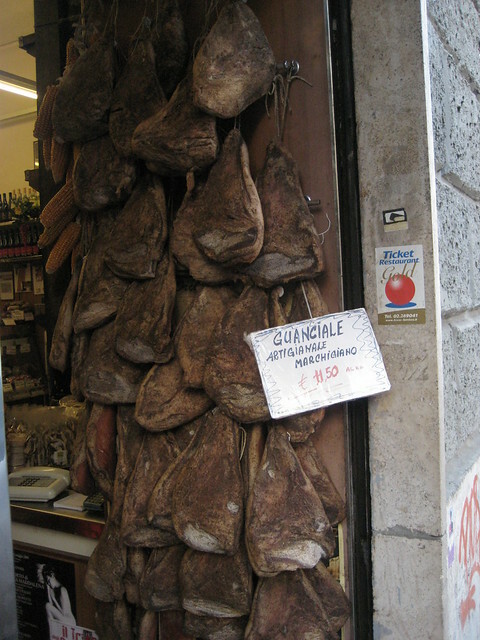 If you cannot find the guanciale, you can replace it with standard pork bacon in thick pieces, and Pecorino cheese can be replaced with Parmigiano or Grana Padano cheese. If you prefer not to use raw eggs, here is an alternative. Once the pasta is ready, you add it in the pan with the crunchy cheek bacon. Then, add the eggs to it and mix everything well so that the egg mixture coats the pasta. When cooked, the color of the egg mixture turns whitish. Finally, add some more cheese and pepper to make it even tastier. And here it is…. the Spaghetti alla Carbonara is ready. Enjoy your meal! 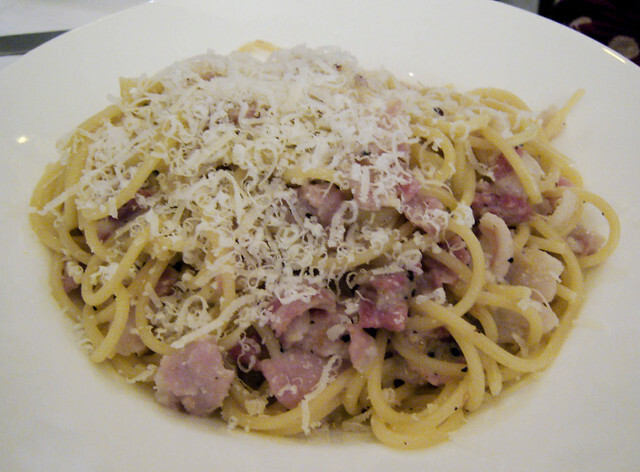 You can find the original recipe of Spaghetti alla Carbonara written in Italian here. This entry was posted Monday, February 25th, 2013 at 16:14	and is filed under Gastronomy, Recipe, Tradition. Both comments and pings are currently closed.